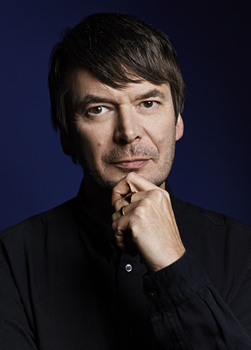 When Ian Rankin made an appointment with a physician, it was to discuss the health of a man of a certain age, a man who didn’t possess the healthiest habits. What were the old-age prospects? What, in all likelihood, should be done? The patient in question, however, wasn’t Rankin. It was John Rebus, retired detective. “It was an idea of my wife’s,” Rankin explains. To make sure that treatment of Rebus, a smoker and drinker in his 60s not in possession of a gym membership, was scrupulously realistic, Rankin ran the profile of his main character by a doctor and learned details of his probable condition. In the novel Rankin next wrote, RATHER BE THE DEVIL, Rebus is a man with “mortality tapping on the shoulder.” Readers have to absorb the fact that their beloved Rebus gives up smoking and does try a bit of moderation. But he’s not stepping back from the world. Quite the opposite. 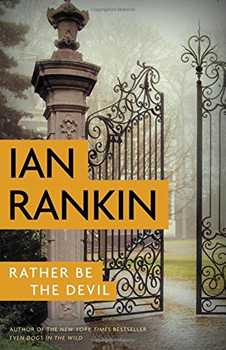 In RATHER BE THE DEVIL, Rebus’s renewed interest in the unsolved decades’ old murder of a beautiful woman in an Edinburgh hotel room plunges him into an investigation that intertwines with separate investigations of detectives Malcolm Fox and Siobhan Clarke, other series characters. The mysteries deepen, with several stunning twists, until culminating in a tense action sequence. Right and wrong. Good and evil. This is the struggle at the heart of Rankin’s series, which goes so much deeper than a “crime procedural.” Rebus is “an Old Testament guy,” Rankin says, and the wrongs Rebus discovers in this novel compel him to pursue a dangerous course, as he is “a detective without a badge.” Among his adversaries are Cafferty himself, leading to some harrowing passages, as the two men are well matched indeed. “It’s a story of old men who should be getting out of the boxing ring but don’t,” says Rankin. 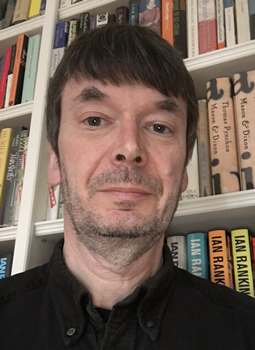 John Rebus stepped into the ring 30 years ago with Knots and Crosses, which Rankin wrote while a postgraduate student at the University of Edinburgh. 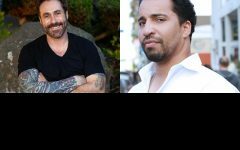 The series built, and with the eighth novel, Black and Blue, the author had his breakout: award recognition and a quadrupling of sales. Soon there was TV interest and a Rebus series in which the Edinburgh detective was played by first John Hannah and then Ken Stott. RATHER BE THE DEVIL topped bestseller lists for fiction in the UK. Among the strengths of the series are devilishly clever plots, sharp dialogue that never once sounds “on the nose,” and a certain blistering humor that can turn unexpectedly gentle. In RATHER BE THE DEVIL, a secondary character who is a habitual false confessor and rock-bottom loser manages to evoke sympathy in Rankin’s hands. A loathsome gangster who lies and cheats is a mama’s boy. A brother whose career and finances are nearly wrecked by an angry sister still intends to do everything he can for her. Even more so, the quiet moments between the characters shine, the uneasy meals in a restaurant or quips while on a stakeout. Despite the achievements of the Rebus series, or perhaps because of them, Rankin is taking a break, at least a year off. After recharging, he may write another Rebus novel. Or he may not. As this is the 30th anniversary of John Rebus, Rankin’s time away from Edinburgh’s favorite detective coincides with his UK publisher’s celebration of said detective. Orion Books has arranged a world tour and events in Edinburgh and London, as well as special editions of the books.